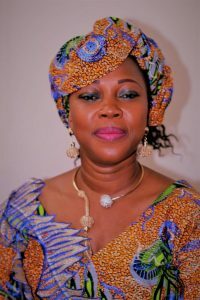 Home Celebrities Fatima Jabbe-Bio, Beyond the office of First lady of Sierra Leone. Fatima Jabbe-Bio, Beyond the office of First lady of Sierra Leone. Fatima Jabbe-Bio was born to a Sierra Leonean mother, Tidankay Jabbie who hails from Kono District and a Gambian father, Umar Jabbe, who lived in Kono for many years as a businessman and in those days owned properties in Kono. 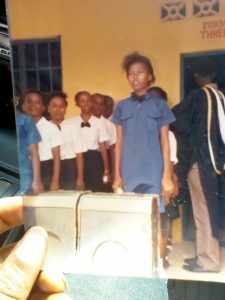 Fatima Jabbe-Bio grew up in Kono where she attended the Ansarul Islamic School and later attended the St Joseph Convent Secondary School in Freetown. As a matter of fact, through her maternal lineage, her late grandfather Alhaji Marabou Jabbie hailed from Kono. Her late grandmother, Isata Nabay is from Segbwema. But it is not all about her deep-rooted connection in Sierra Leone: born to a Sierra Leonean mother and a Gambian father who both lived as an admirable family in Kono or, as a little girl growing up in Kono. It is as much about revealing Fatima’s academic and professional career life. As a very promising and determined young woman, Fatima Jabbe-Bio holds a Bachelor of Arts with Honours degree in Performing Art from the Roehampton Institute in London. This BA (Hons) degree in Performing Art prepared her to start a very successful career in the African Film Industry in London which has made her not only one of the most elegant Nollywood Actresses but also a talented scriptwriter and executive producer. Fatima Jabbe-Bio has starred in many Nollywood movies such as “BATTERED”, “Shameful Deceit”, “Expedition Africa”, “My Soul” to name but a few. Fatima Jabbe-Bio wrote and produced a movie, “Battered.” She has received several awards in the film and fashion industries. Amongst her many awards are:“Best Supporting Actress,” for the for “Miss Africa 2000.” ZAFAA Awards 2011 for the movie “Mirror Boy.” 2011 “Best Actress Award” from the Black Ethnics, Fashions and Film Industry in the UK. Pan-African “Woman of the Year Award” was given to her by ‘All African Media’ based in Ghana. September 2013, Fatima Jabbe-Bio was voted the best female actress at the African Oscars in Washington DC, from a list of 32 nominees in Africa People’s Choice Best Actress category. She won the award ahead of other Nollywood superstars including the likes of Omotola Jalade, Monalisa Chinda, Queen Amina and Ify Hollywood. But that is not all, very recently, on 27 October 2013, she won the Gathering of African Best (GAB) Awards for her exceptional contribution for promoting a positive image of Africans around the world. The event reveals the accomplishments of award-winning Africans.